Two years ago, when Ben Affleck was cast as Batman, no one would’ve guessed it could come to this. A new rumor says the studio is so excited about his performance in Batman v Superman: Dawn of Justice, they want more of him in the film. Now, let’s step back a bit. Affleck is obviously a good actor, but Henry Cavill - in the little we’ve seen him in - is pretty good too. I don’t see Affleck outacting Cavill like Meryl Streep would a first year drama student. If this rumor is true, maybe it’s just the fact that Batman has become the iconic, popular superhero of our lifetime. Superman was the original, but his ultra positive sensibilities don’t quite mesh with our shades-of-gray world. Batman embodies that, and you just have to look at the box office on their most recent movies, and the barrage of other Batman stuff going out there, to see the modern disparity between the characters. Actually, if it wasn’t for Christopher Nolan’s Batman trilogy, odds are we would’ve seen a new Batman movie - not Man of Steel - a few years ago to kick off the new DC Cinematic Universe. But because Nolan’s trilogy was so fresh in our minds, DC went to their other major character to carry the banner. Time has passed now though and it seems audiences are once again hungry for Batman. There was also that rumor from a few weeks back that an internal screening of Batman v Superman: Dawn of Justice got a standing ovation and spawned the deal between them and Affleck to develop a new Batman trilogy. They apparently went from thinking Superman was the lynchpin of the whole DC Universe, to Batman. So this rumor seems to add to the previous ones. We also know he’ll appear opposite the Joker in Suicide Squad next year, and Superman is not in that film. 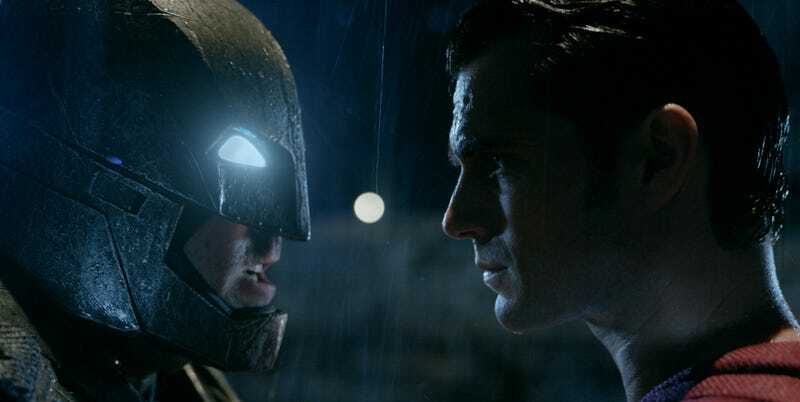 Does this mean there will be reshoots to Batman v Superman? Will a potential imbalance screw up an already complex story? We don’t know. We do know there’s plenty of time before the film’s release March 25. Anything can happen. But if Batman is that good in this movie, I’m of the mindset director Zack Snyder should leave fans wanting more. They have plenty more Batman (and Wonder Woman, and Aquaman, and Flash, and Cyborg, etc.) coming in the next few years.